Increasing the amount of fruits and vegetables in your diet means you’ll be consuming more fiber, vitamins, minerals and water, while avoiding saturated fat and cholesterol. Start by reducing portions of animal protein and upping the volume of plants on your plate. Apples are particularly healthy and versatile so keep them within reach at all times. Although there’s no need to obsess over every calorie, keeping an eye one how much you’re consuming can help maintain a healthy weight. Be mindful of calorie-dense items like oils, dairy, red meat and make healthy swaps where possible. For example, trade calorie-heavy snack foods for raw fruits and chopped vegetables. Overconsumption of white sugar has been linked to weight gain, blood sugar problems and an increased risk of heart disease. Substitute natural sweeteners, like fresh or dried fruit, maple syrup and agave nectar, as much as possible and use refined white sugar sparingly. 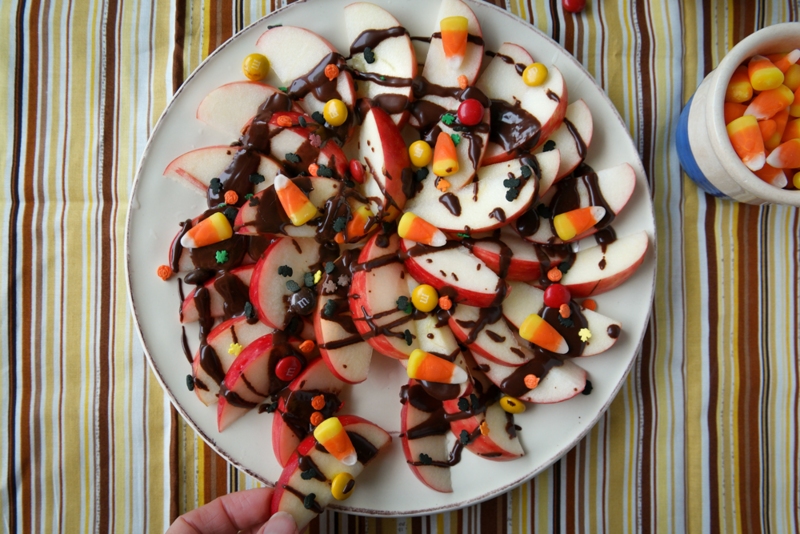 Eating a healthy diet is fun when you try new recipes and get creative with nutrition-packed ingredients like apples. There’s way more to healthy eating than salads (although they are delicious!) so get out there and experiment. To help you get started, here are 11 of our favorite healthy apple recipes. 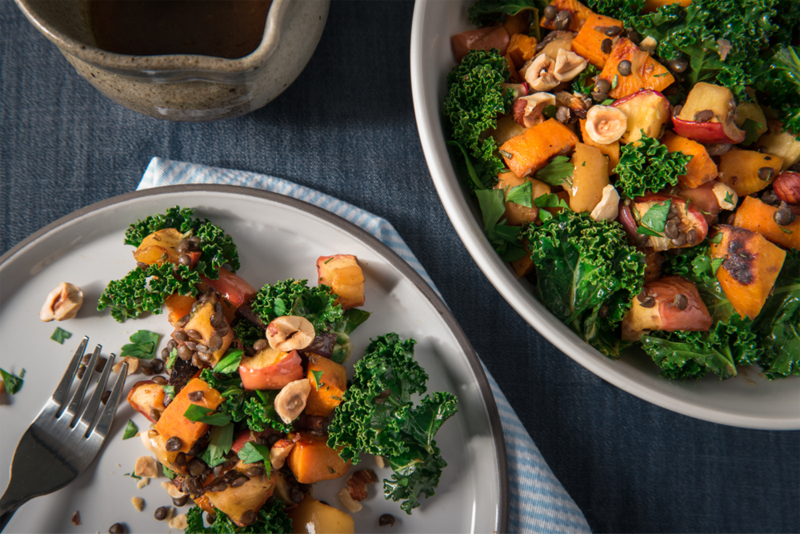 Our hearty roasted salad with sweet potato, apples, kale and lentils is packed with protein, fiber, vitamins and flavor. 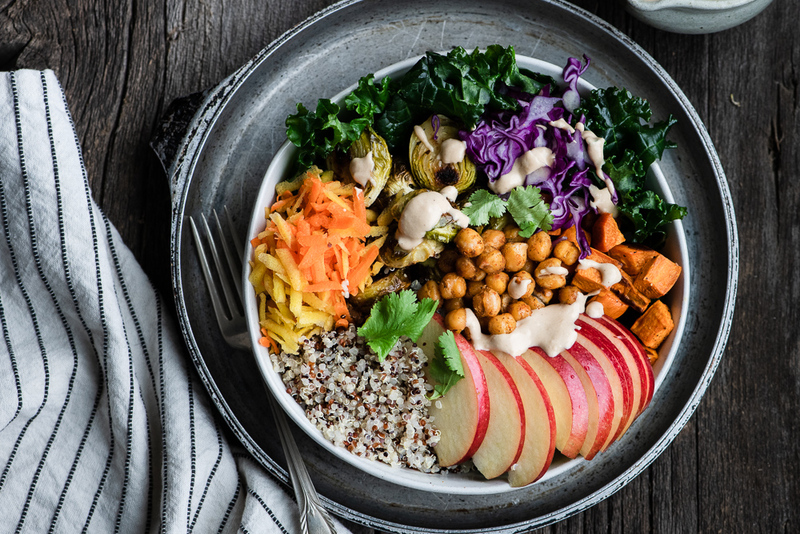 This 100% plant-based bowl sports an easy-to-make creamy dressing and is topped with crisp KORU® apple slices. 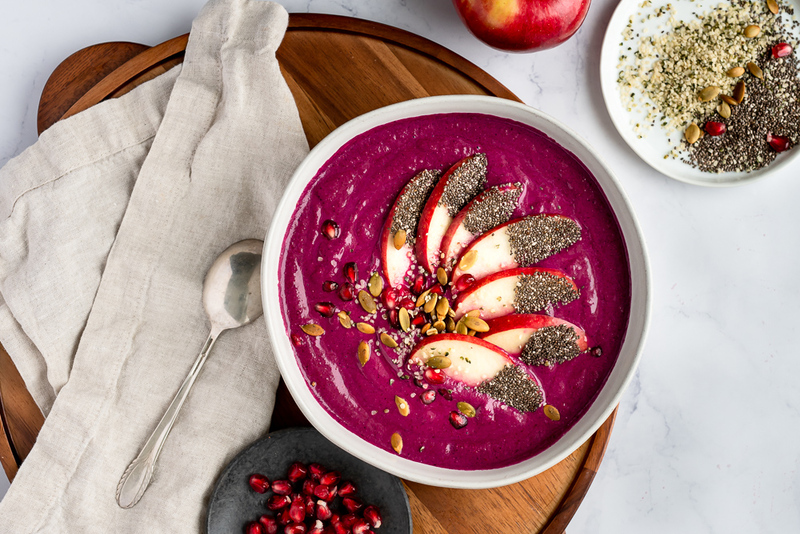 This gorgeous pink KORU® apple-berry smoothie bowl just screams healthy! Enjoy this superfood-rich bowl for breakfast or brunch. 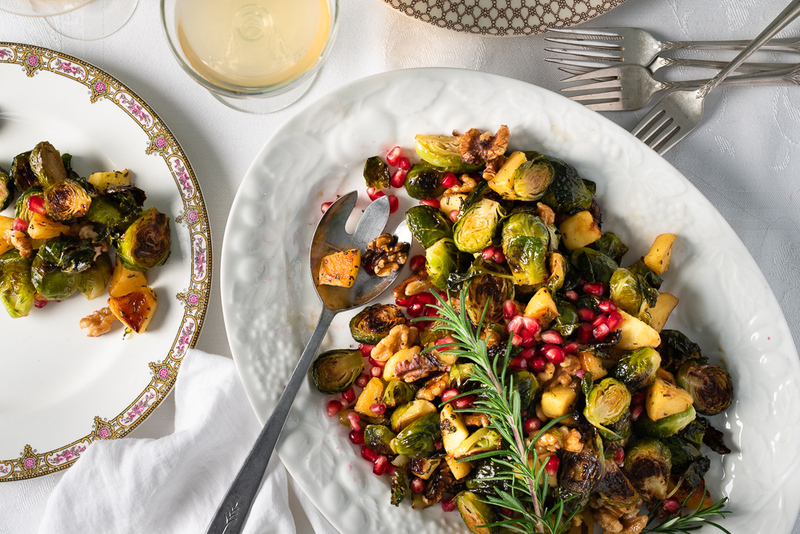 Brussels sprouts and apples are in season, so why not roast them together? This lovely dish makes a healthy side dish or lunch. 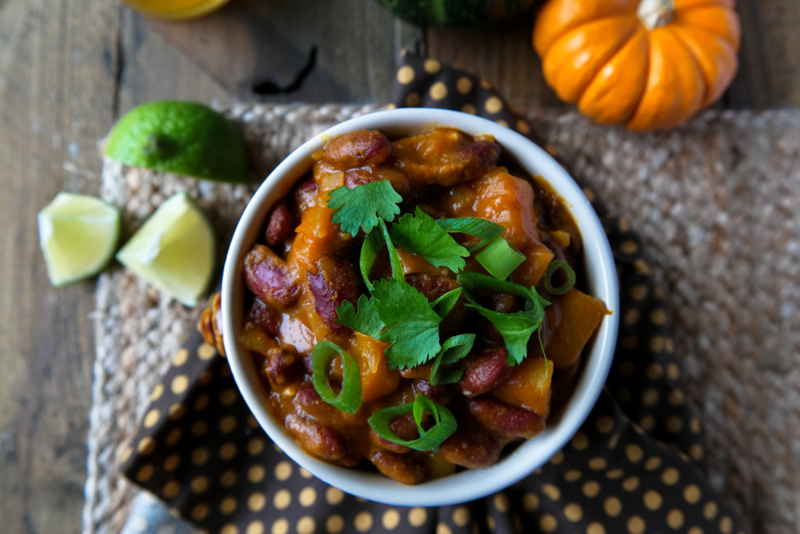 Make this scrumptious chunky chili with beans or ground turkey to save on calories, saturated fat and cholesterol. Double the recipe and freeze for quick weeknight meals. 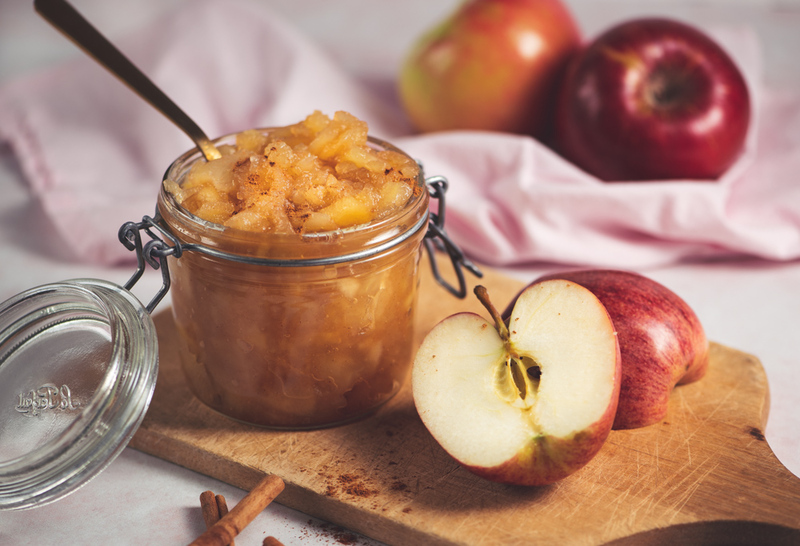 Use ripe sweet apples to make this simple no-sugar added recipe. The applesauce makes a great breakfast food or snack and can substitute for eggs in baking. 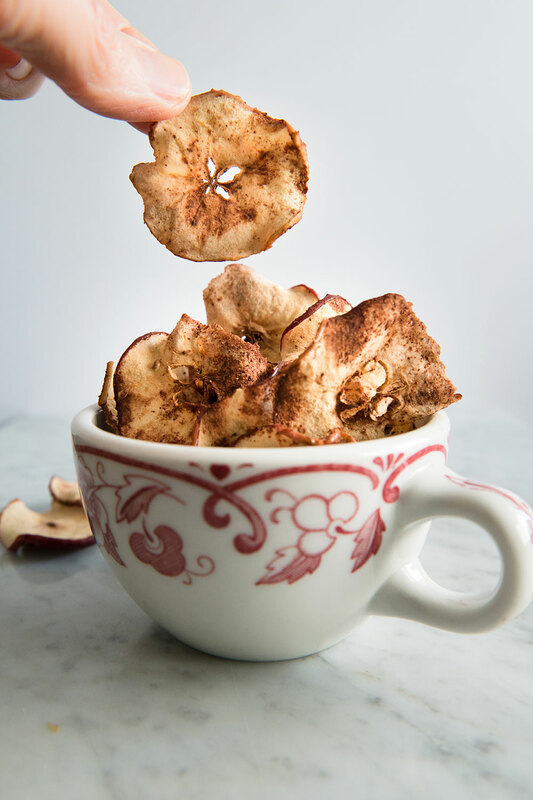 This no-oil recipe with only a hint of sugar make deliciously crisp apple chips. Vary the spices and play around with this easy snack recipe. Chocolate can absolutely be part of a healthy diet! Use good quality dark chocolate and select healthful toppings like chopped nuts, seeds or raisins. 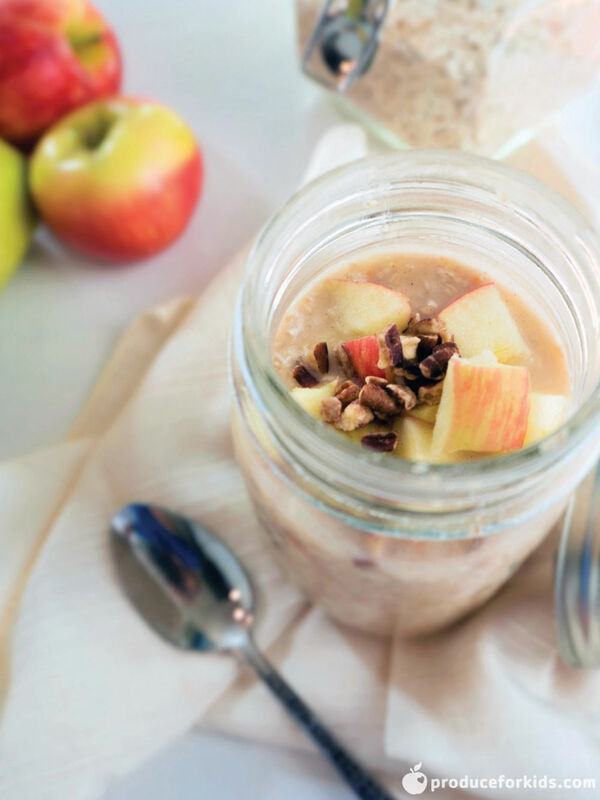 Get a healthy start to the day with these ultra-nutritious overnight oats with no refined sugar. This recipe is sure to please everyone. 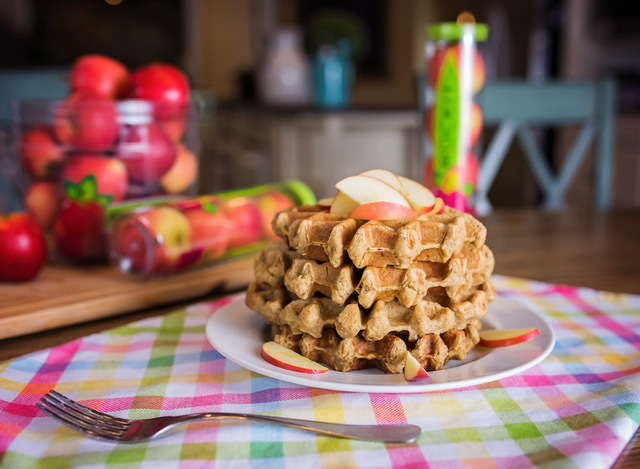 These glorious morning waffles rely on the natural sweetness of apples to replace refined sugar. Enjoy this health breakfast treat! Soup sticks to your ribs and warms you in the winter time. 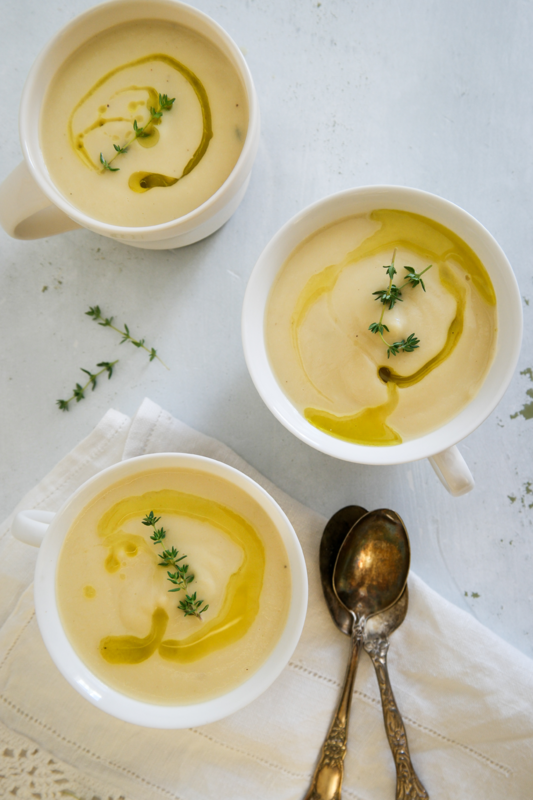 Our apple-parsnip soup is simple, tasty and will have your family clamoring for seconds.